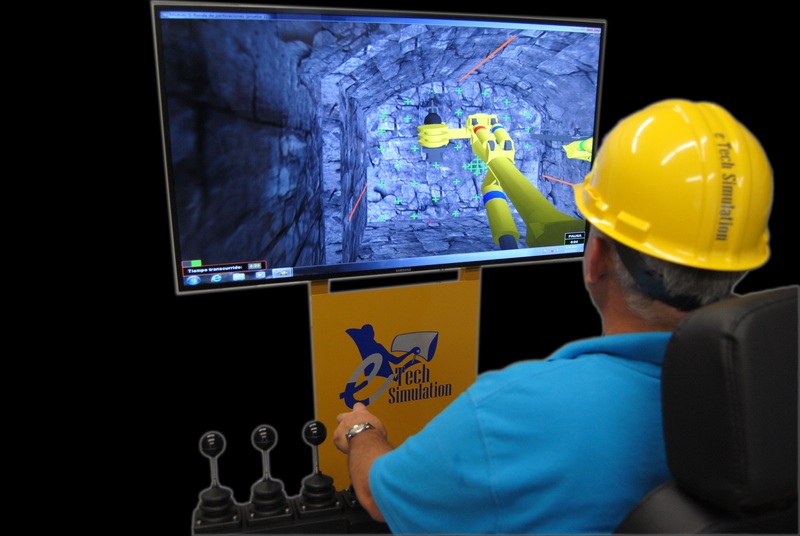 e-Tech´s Drill Jumbo Simulator places the operator in control of a modern twin boom Drill Jumbo inside an underground mining tunnel (drift). 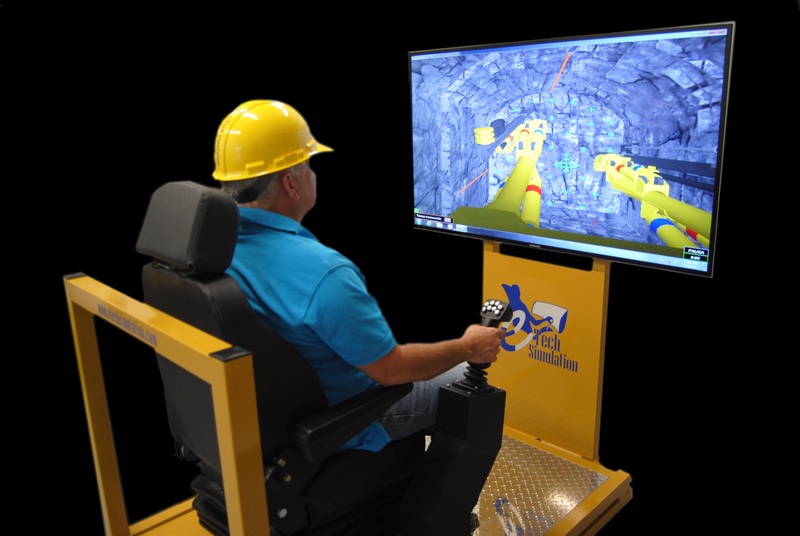 We offer training efficiency through a modular Instructional Design that teaches real skills for productive and safe equipment operations in the field. 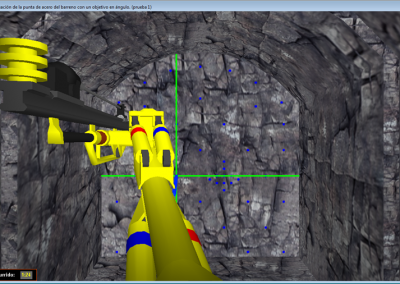 Reproduces accurately the essential operations kinetics of each of the six axes that control the Drill Jumbo´s jibs. 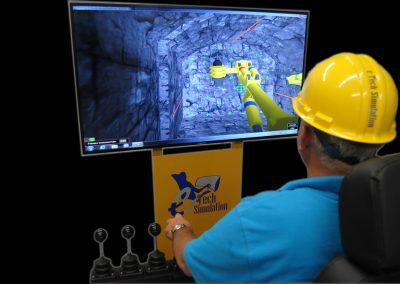 The simulator recreates the collisions between the Jibs and the walls of the tunnel, it also reproduces the exact same real-life sound, which were recorded from the real machine operations. 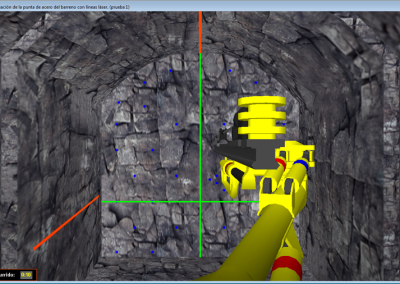 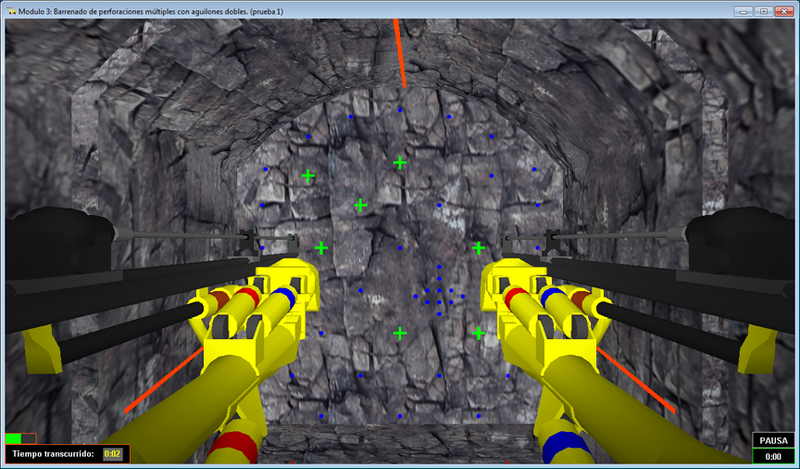 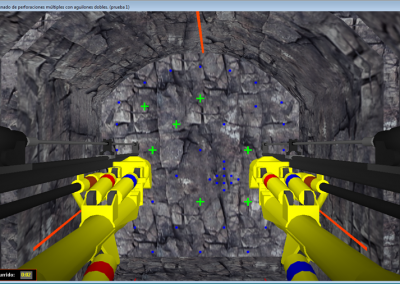 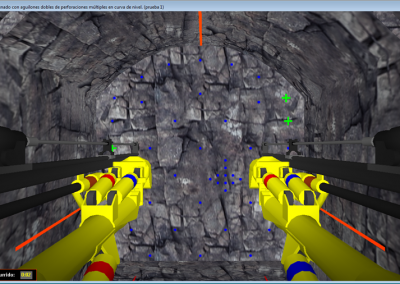 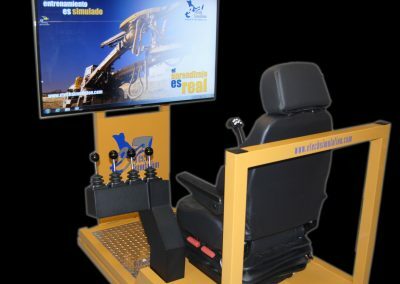 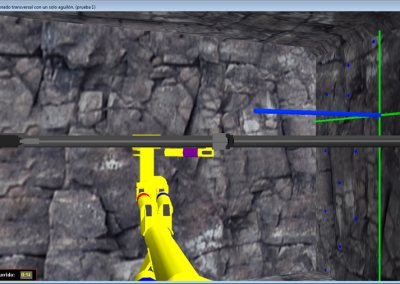 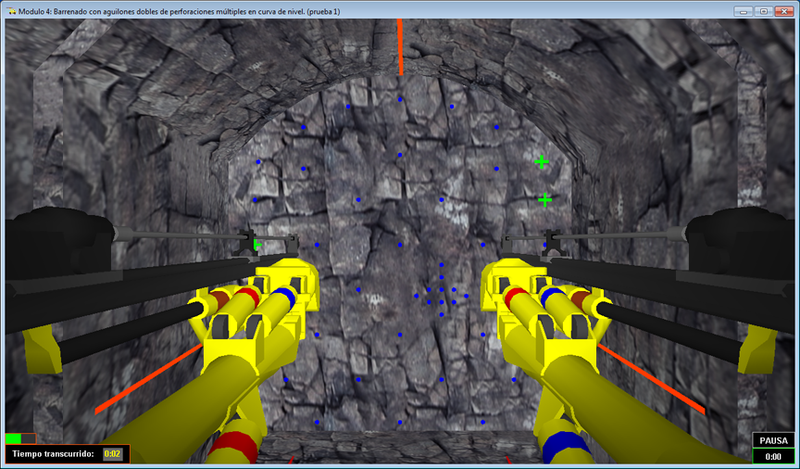 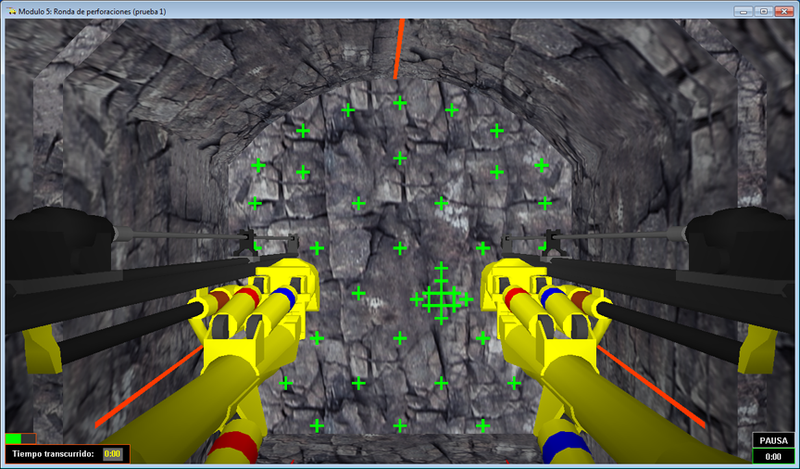 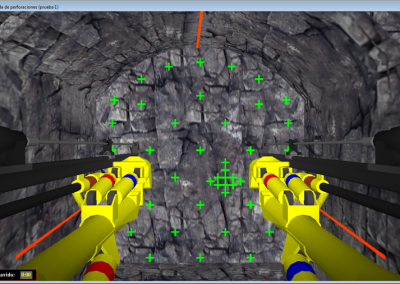 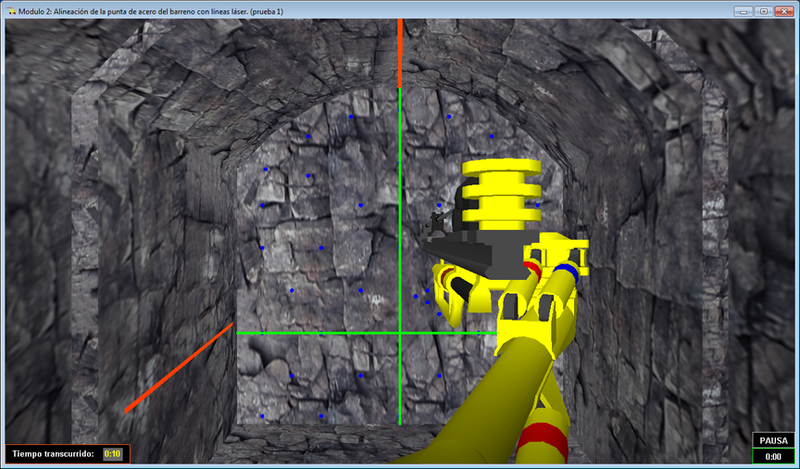 The Drill Jumbo Simulator includes six different training modules. 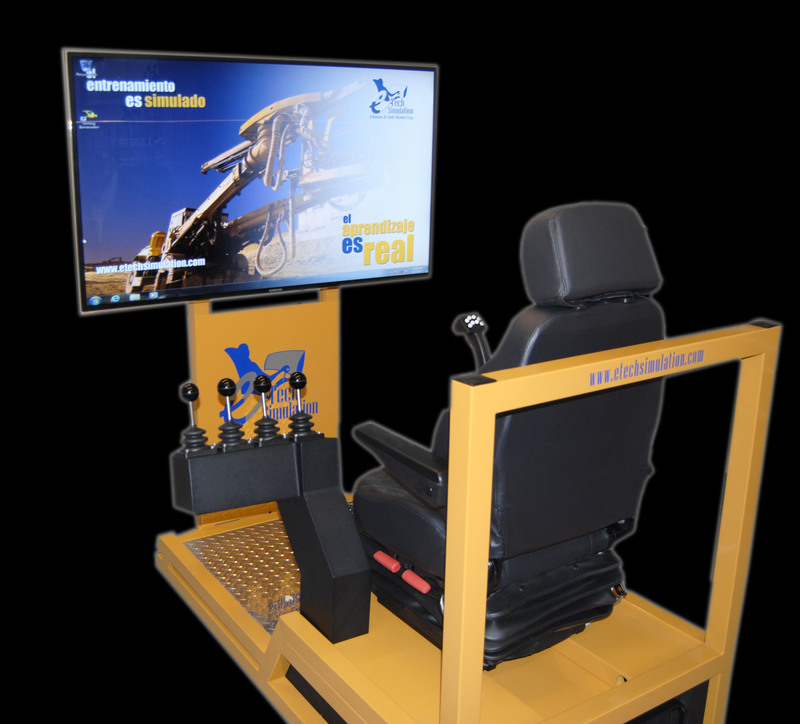 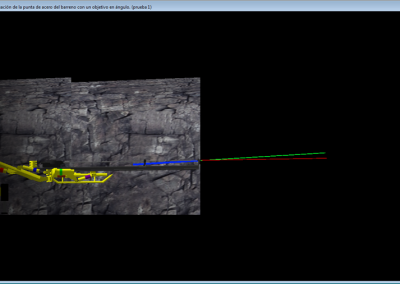 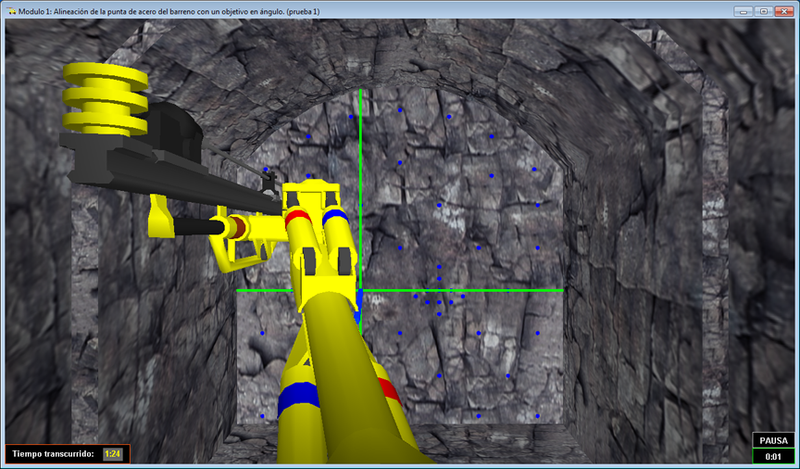 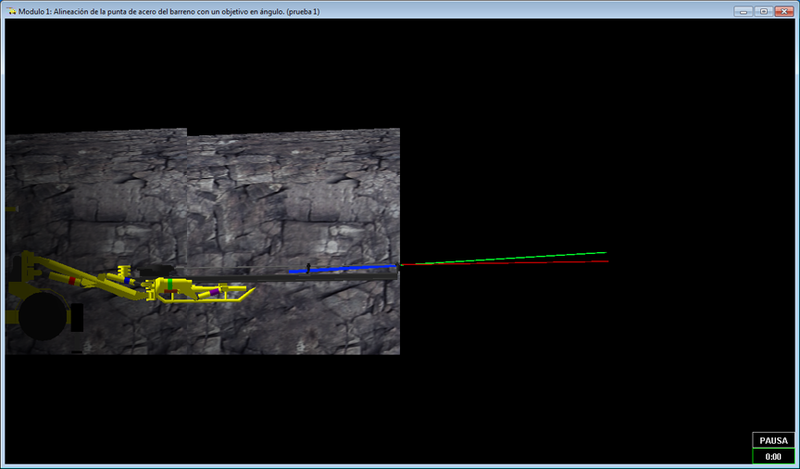 The first Simulation Modules present a single hold to be drilled at a designated position and orientation. 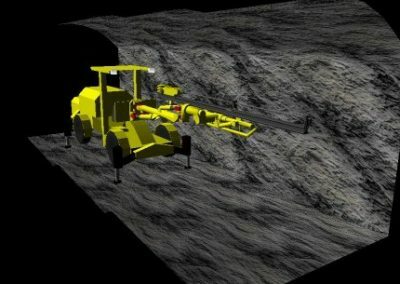 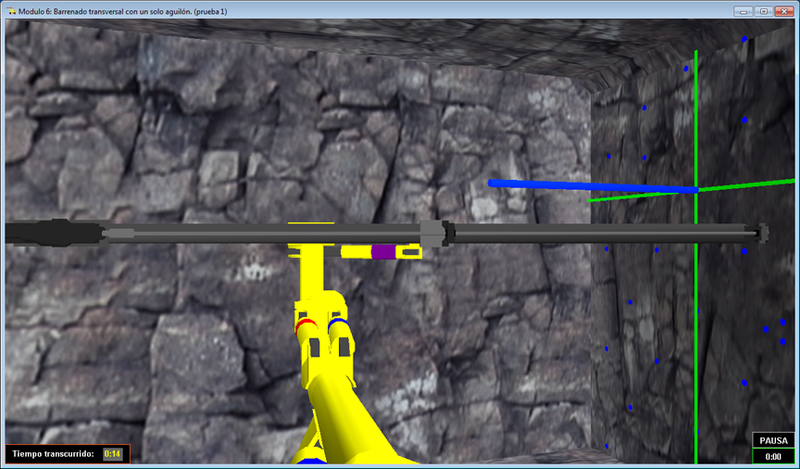 Other Simulation Modules require drilling complete rounds and cross-cutting in wider drifts.